If there is just one thing I would recommend when in Kenting, it would be to rent an electric scooter. The roads in Kenting are wide and easy to ride with long stretches of nothing to hit so unless you have huge issues with balance and zero road sense (drive on the right! ), you can’t go wrong with renting an electric scooter! 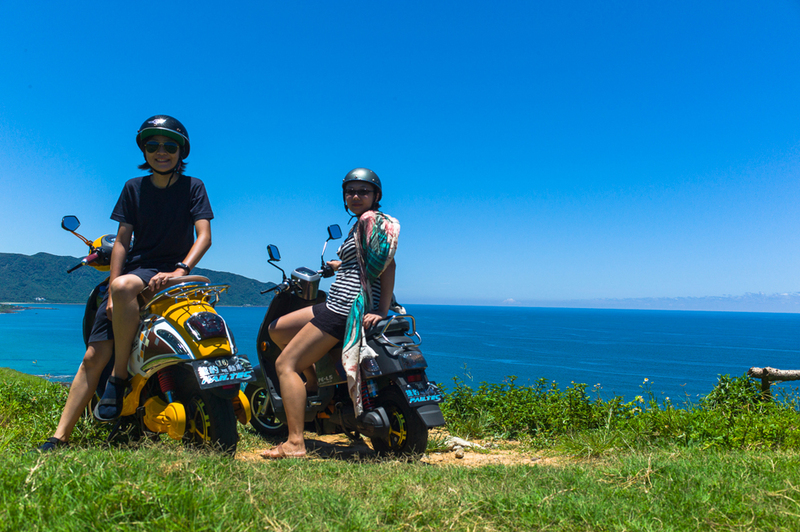 Having the scooter allows you to really explore the place as you can stop whenever you want just to admire the glorious views or take little roads in the villages that will lead you a different view of the ocean to enjoy the spectacular sunset. A word of caution when driving in the Kenting night market in the evening as traffic gets crazy there so beginners might want to avoid it until you are more confident. Stay clear of the huge tour buses too! You are really spoilt for choice when it comes to choosing your electric scooter. From happy pandas to shocking pink Hello Kitty decals, there is something for everyone! How about a Hello Kitty helmet? The office workers mainly if not, exclusively speak Mandarin so get your hotel to call them in advance if you wish to check their current rates/ rent their scooters. I can’t remember the rate I paid but it should be about 12-15SGD per day. They will give you two batteries per scooter which is enough to last the entire day or 40-50km in total. Make sure you pay attention when they teach you how to change the batteries so that you are not stuck in the middle of nowhere with a dead scooter! 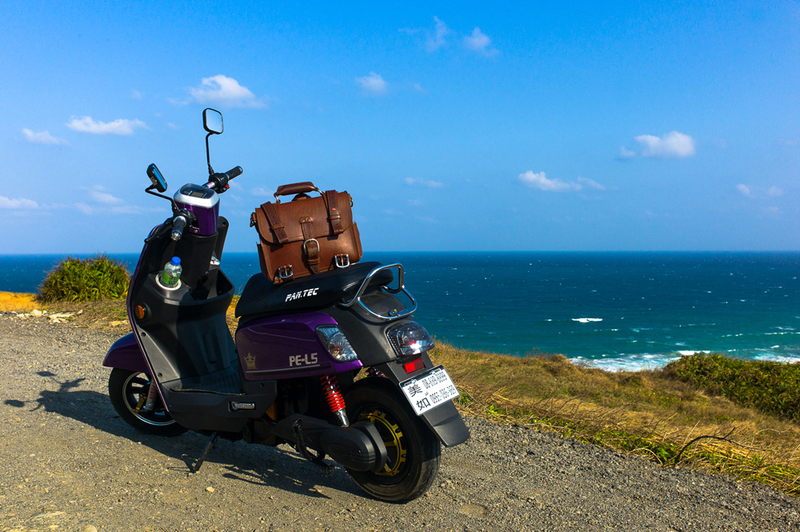 Depending on how light you are, the Pan-Tecs have a maximum speed of 50-60km/h which is a lot of fun when you are riding on long stretches of empty road with no particular destination in mind but purely for enjoying the sea breeze in your hair. 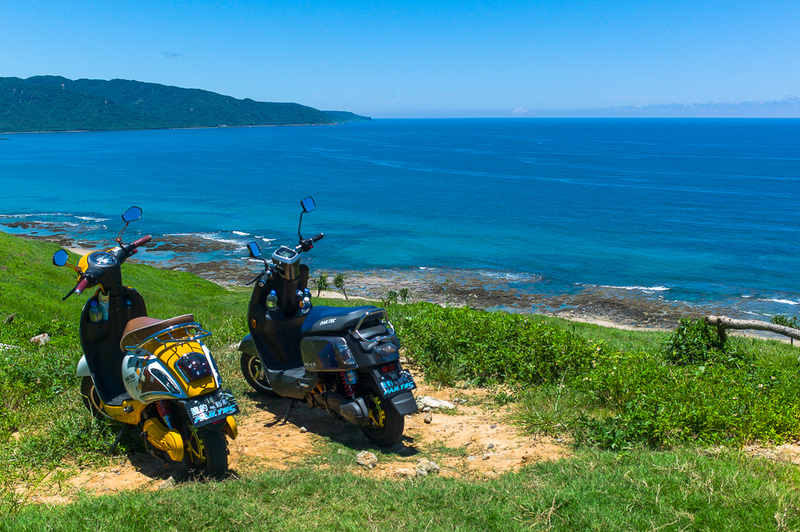 All in all, the electric scooters are highly recommended even for beginners to explore the gorgeous seaside of Kenting. 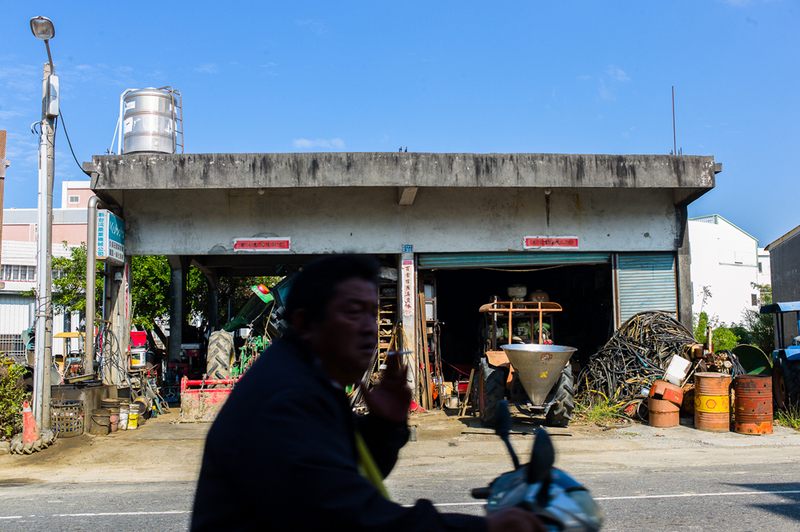 It is very liberating if you are on it for the first time as you’ll get to explore both the mountains and the seas; travel to the southern most tip of Taiwan and stop whenever you fancy. If you are feeling a little more adventurous, head north to where the hotsprings are; enjoy the sea breeze along the way or take a dip in the water in your own time.